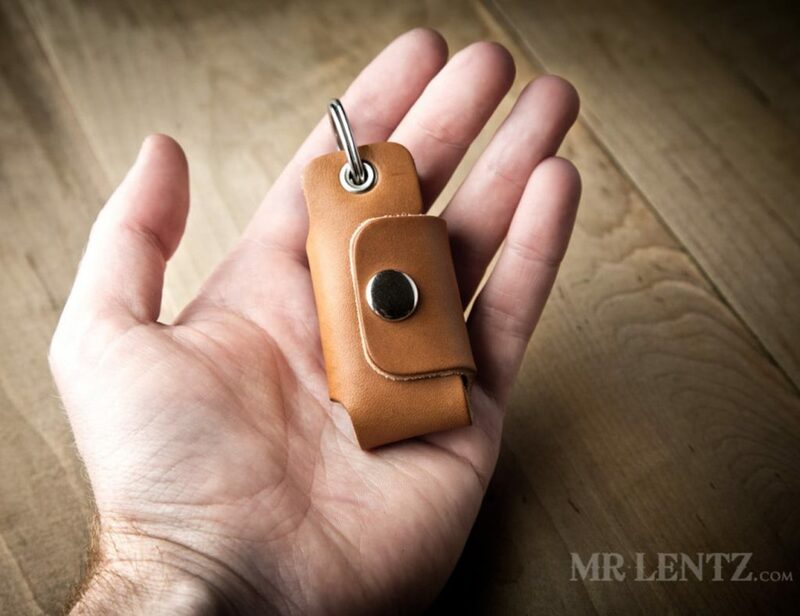 Rugged full-grain leather, minimal designs, and solid brass rivets - the Mr. Lentz leather products are purely handmade with a 100-year guarantee. If you have a thing for handmade products, these are definitely worth a try. It comes in two sizes to hold all your keys in place. It secures tightly thanks to its solid stainless steel clip, keeper and buckle. 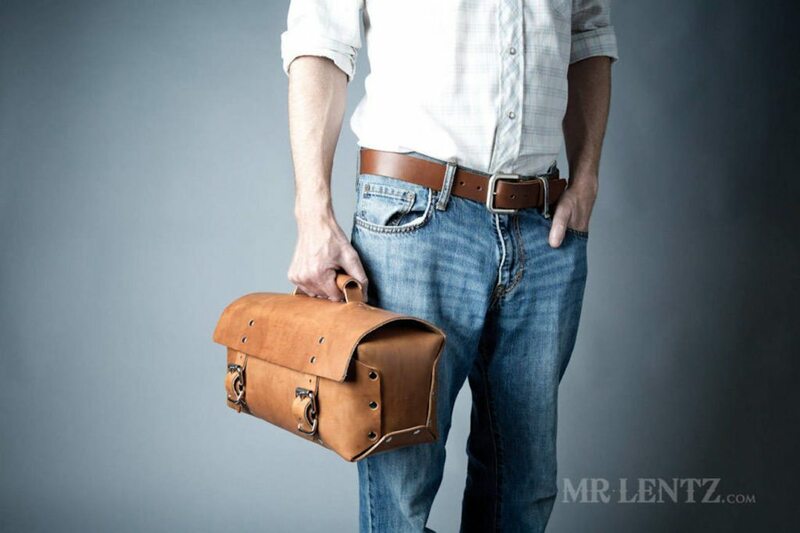 Confidently carry your daily essentials with the Mr. Lentz Men’s Leather Work Bag. Built to last, this bag is suitable for heavy use thanks to its full-grain leather. 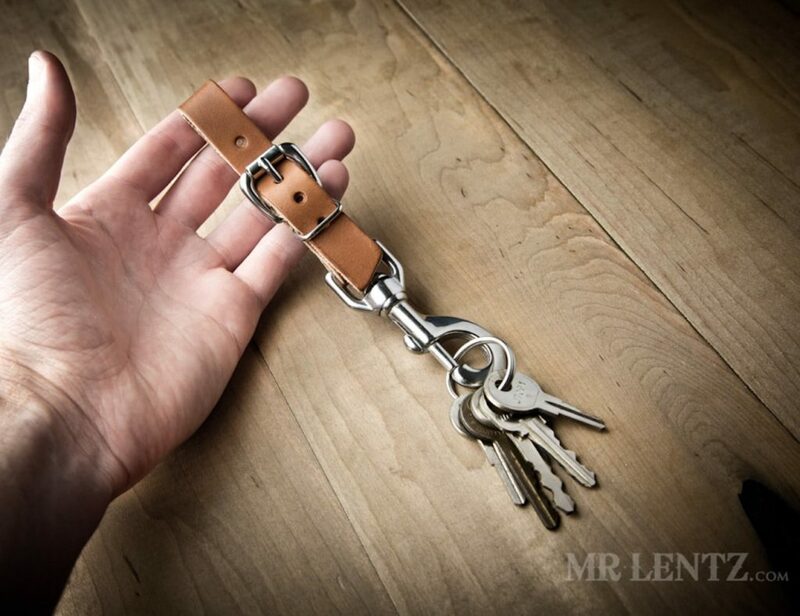 Likewise, it also comes with stainless steel buckles and solid brass rivets..
Confidently attach your chain to your belt with the Mr. Lentz Leather Belt Loop Keychain. 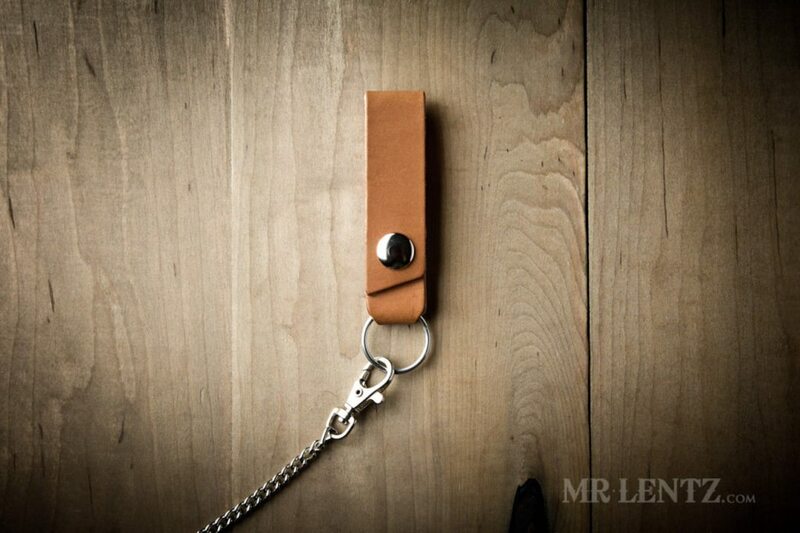 A unique extra touch to your chain wallet, the Belt Loop Keychain easily snaps over most belts. In fact, it is compatible with belts up..
Effortlessly protect your iPhone from the elements with the Mr. Lentz Slim Leather iPhone Wallet. 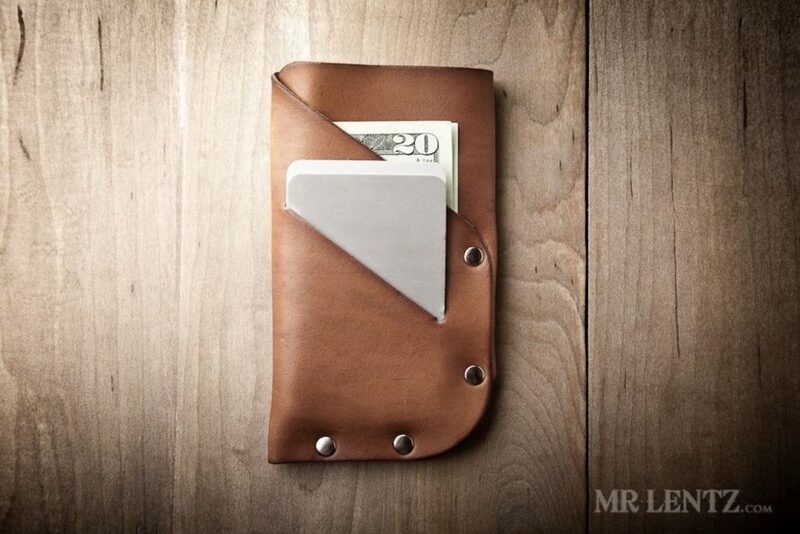 This handmade leather wallet offers enough space for your iPhone and a few cards as well as a bit of cash. 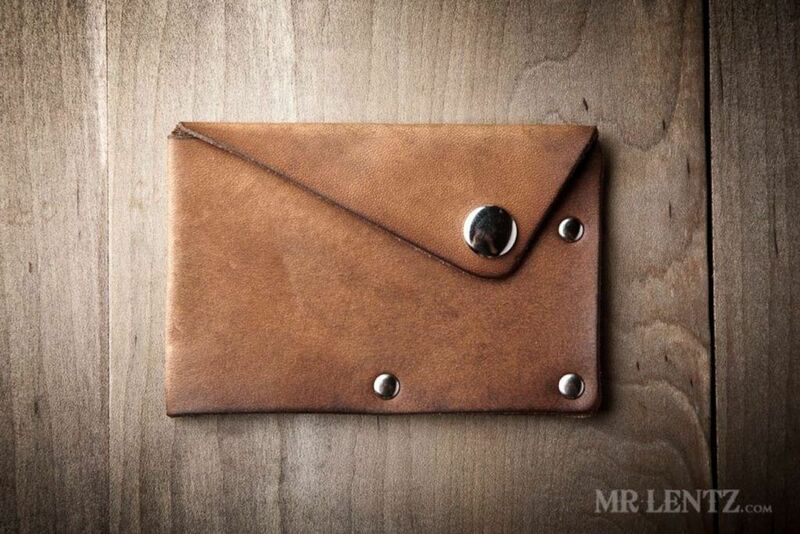 Its compact design makes..
Get your everyday carry items in a snap with the Snap Leather Wallet by Mr. Lentz. Spacious yet durable, this wallet is perfect for those with bulging wallets. The Snap Wallet features stunning leather. The durable brass hardware complements the..